Ground Level Deck with Steps. Other Pictures In Ground Level Deck with Steps. 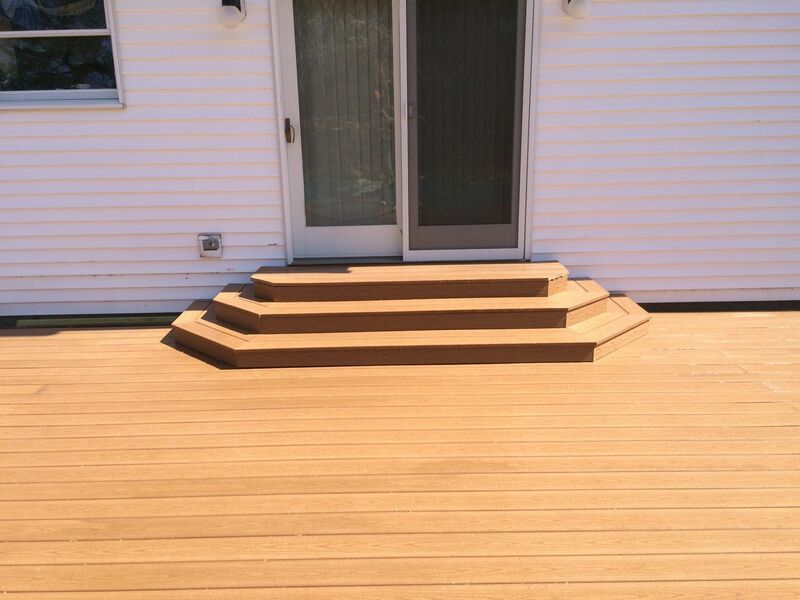 Timbertech Reliaboard Deck Cedar Tone with Steps.